Washing machine is a home appliance that’s used almost every day, that’s why you need to maintain its functionality. If you need a slight repair, you can ask for the official warranty service center to fix the washer, but it’s likely to take pretty much time. What about third-party services? Those are expensive. Luckily, you can repair the washer on your own, if there’s a manual at hand. 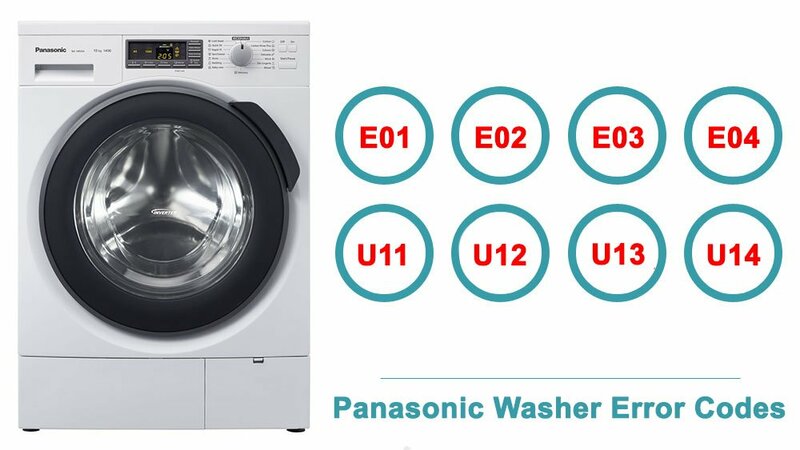 The tables below describe the troubleshooting process for different models of Panasonic washing machines. They contain the most common technical issue of washing machines, possible causes and the ways to solve the problems. Using these manuals you can repair some minor malfunctions on your own without the help of masters. Besides, every table includes the error codes. 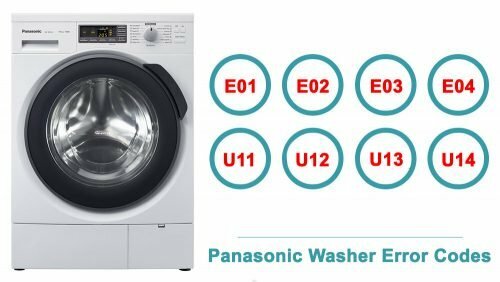 Each code stands for some certain technical failure, so when your washer displays some certain combination, you’ll be able to identify the problem easily. No need to search for the original printed manual – all necessary information is present here. Please, note that washers of the same series usually have the same error code set, so if your model isn’t mentioned here, rely on the instruction for some of washers of its series. These troubleshooting instructions can be followed by an average user. However, if you have problems with understanding or implementing some steps, don’t hesitate to ask for master’s help. Serious mechanical damage and software failures should be treated by professional repairmen. EO1 Door is open Make sure that the door is closed properly. EO2 Unable to supply water Check for any of the following problems. - The tap is closed. - The water pipe or hose is frozen. - The water supply has been disrupted. - The water supply filter is clogged. EO3 Unable to drain Check the drain hose for any of the following problems. - There is a clog in the hose. - The hose tip is immersed in water. - It extends with joints. - The water is frozen. Clean the drain filter if it clogs up. EO4 Overflow Check for any of following problems. - The water supply valve has failed. - The water supply valve triac has failed. Switch off and unplug the appliance. Shut off the tap and contact your local Customer Service Centre. U11 Unable to drain Check the drain hose for any of following problems. - Its tip is immersed in water. - It extends further than 3 m.
After correcting the problem, open the door, close it, and then start the wash again. U13 Unable to spin-dry The appliance has been designed to detect unbalanced loads, especially small loads, in order to ensure quiet operation and achieve the best results. This is not a malfunction. Perform any one of the following solutions. - If the laundry is too heavy, untangle clumps of clothing. - If the laundry is too heavy because items, such as blankets, are too large, reduce the load. - If the laundry is too light, add one or two bath towels. - If the appliance is on an unstable or uneven surface, change the setting location. U14 Unable to supply water Check for any of following problems. - The water-supply filter is clogged. If the red mark appears in the hose with water-supply valve, it have been stop the water supply. H01 An error display starting with H. What to do - Press the Off button. If the display stays on, or if it reappears when you press the Start button, unplug the appliance and contact your local Customer Communication Centre.